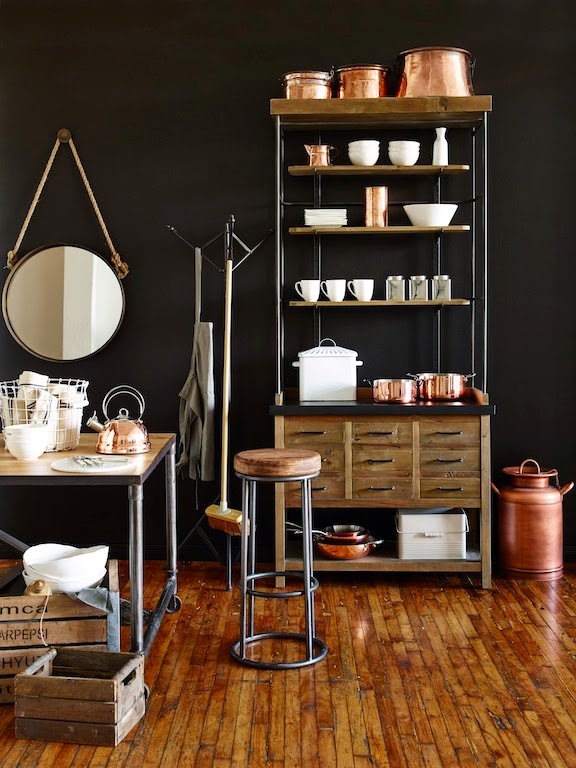 Rumour has is that after a few years of brass bliss, copper is the new trending metal. While I will forever love brass and gold, I've always been a fan of copper as well. It's warm, rosey tone feels so rich and somehow nostalgic. Maybe that is owing to the adorable little set of copper measuring cups that my mother has had hanging in her kitchen for as long as I can remember. 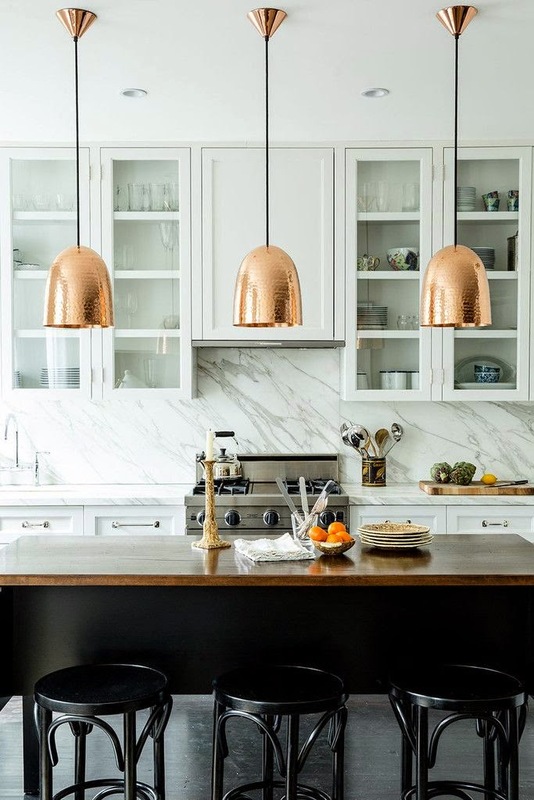 For me, copper is a natural choice for the kitchen, providing a warm colour to a space that can often read cold. 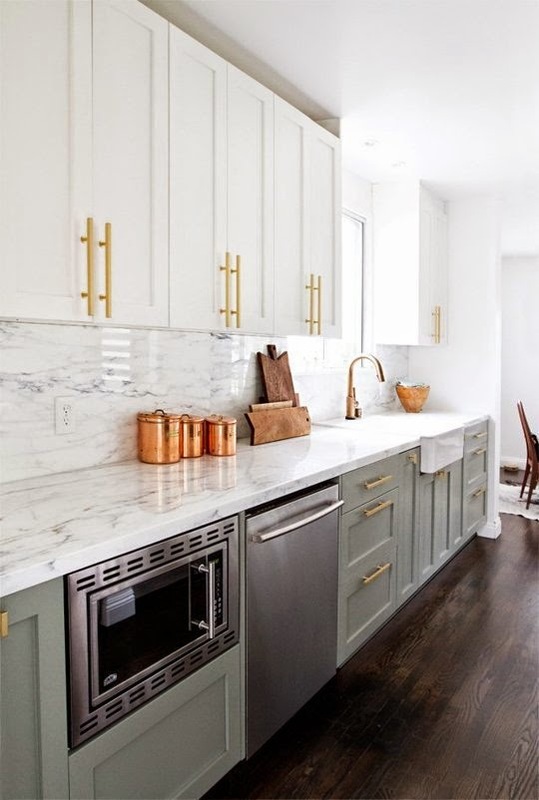 ^This example shows mixing metals (stainless appliances, brass hardware and copper accessories) is totally doable, breaking a long standing myth! 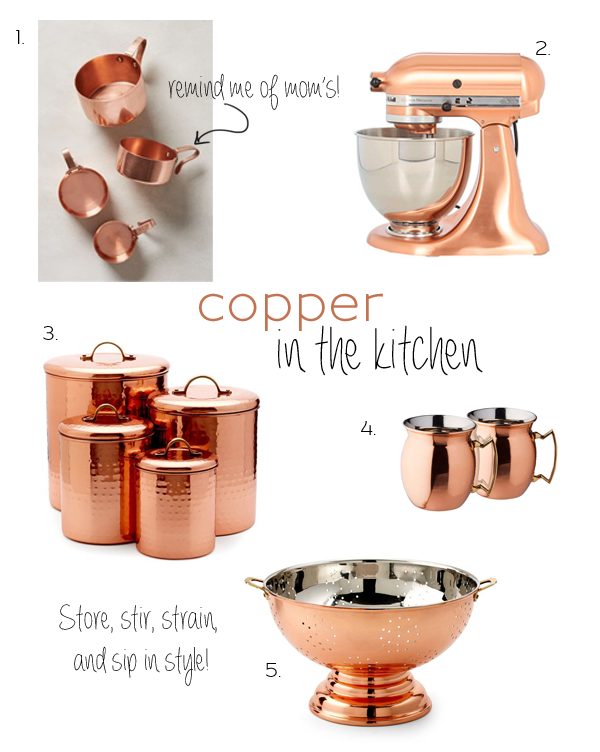 Do you have any copper in your own kitchen? 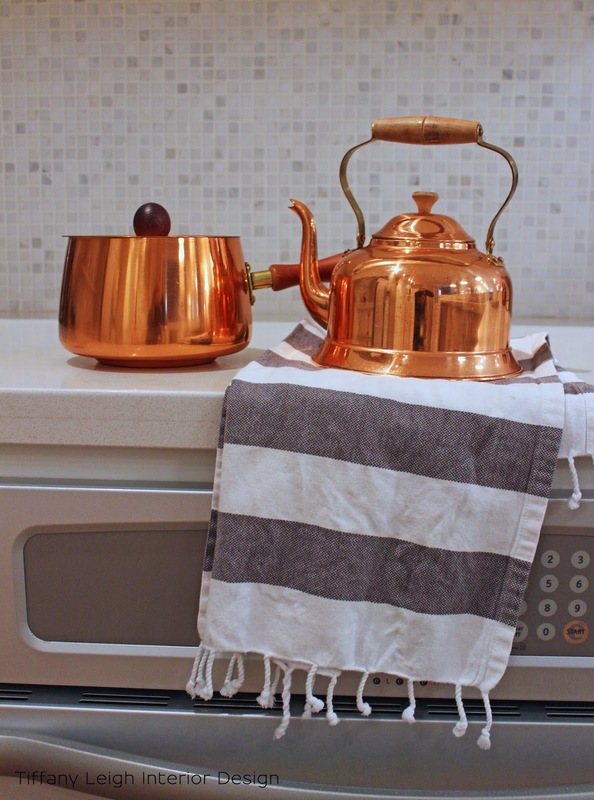 Bonus tip: Use a soft cloth and ketchup to keep your copper in prime shine! I am a big fan of copper!! I love copper! It's so nice to see so much copper about this season, as it looks amazing with everything. That teapot is lovely :) great find! I would kill for anyone of those kitchens! I love copper and your finds are great! 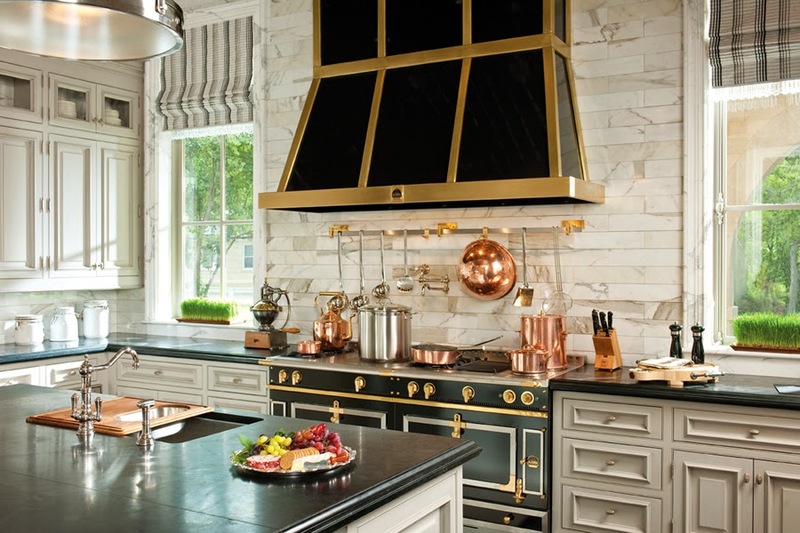 Love the look of copper in the kitchen. I have copper pots but no place to display them. My MIL has tons of old copper cookware. It always looks beautiful.